SMART Event Marketing, full service advertising agency, offering graphic design services (advertising and concept design elements graphic). 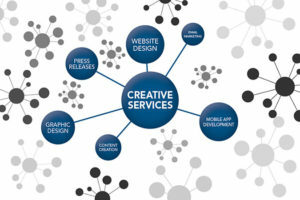 With extensive experience in branding (logo design, visual identity) packaging in the design, development and implementation of creative concepts (including design elements, graphics and graphics processing), our team can provide the best service, respecting delivery times while ensuring the best quality-price ratio. From the list of services offered, include: Logo design and visual identity Edit images and presentation materials (folders, folders, business cards, letterheads, etc.) Video Editing, DT,P Other services. SMART Event Marketing is a full service advertising agency, which provides integrated Marketing, Communication, Public relations, Events and advertising Production services and Promotional material. Avertising with positive ROI and successful event! We support marketing departments, PR and sales with a range of products and services for all communication strategies: Above the Line, Below the Line, Through the Line or Online. We offer services such as advertising through prints digital-offset, indoor and outdoor, advertising audio radio commercials, advertisements and TV commercials, websites, online advertising, landing pages, direct mail, promotions, promotional materials, events, fairs and exhibitions, integrated Marketing services, Communications, Public relations, Events and advertising Production services and Promotional material. SMART Event Marketing – Advertising done right!